Gary David Gleason was born in a Boston suburb in 1954. The youngest of four boys, he was the favorite pal, target, companion and co-conspirator of his three older brothers, Rick, Bryan and Neal. His mother, Vickie, also adored Gary for his notably compassionate demeanor and his depth of character. Gary lost his natural father at age 2, but was close to his new father, “Hal” Hare, at age 4. Both vickie and Hal enjoyed a close relationship with Gary from his childhood all the way through until his untimely death at age 38. Gary often recounted many fun stories about his parents, brothers and large family. 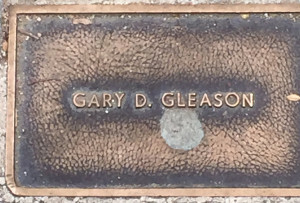 By high school, Gary was extremely popular and was known for his ability to create a friendship with everyone, regardless of the “popularity.” Gary had the rare ability to touch all he met, and is warmly remembered by many for his humor, intelligence, compassion and level-headedness (also his striking good looks!). Gary moved to Los Angeles in the late 70’s (during the disco era) and tried on various jobs until he settled into his career as a procurement manager in the aviation manufacturing industry. Again, Gary captured the hearts of all his co-workers. Gary had many interests and a true passion for life. He had an extremely close relationship with his supportive mother Vickie, his wonderful family and friends. Gary loved to travel, throw himself into home renovation projects, raise orchids and other plants, entertain, but most of all it seems Gary’s biggest passion was to touch the hearts of everyone around him with his warmth and humor.